Oxford Self Storage has been serving the public since 2003. 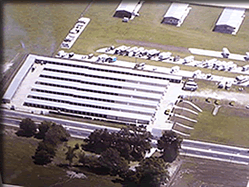 We are a family owned business who takes pride in offering storage and Penske Truck Rentals to our customers. We rent on a month to month basis. We have 24 hour emergency assistance. If you pay for 6 months in advance, you get the 7th month FREE! If you pay for 12 months in advance, you get the 13th and 14th month FREE! We aim to keep our facility as clean and as safe as possible. Our units are treated monthly by pest control specialists. We have LED lighting for night time access. If you have questions about our units or policies, please call (352) 330-2330. © CW4, INC. DBA Oxford Self Storage. All Rights Reserved.